Estate planning can be a mystery to those who have yet to go through the process. In fact, certain myths about estate planning may actually misguide people into putting off this necessary effort for too long. To set the facts about the estate planning process straight – and to underscore why it is so important for people to develop an estate plan as soon as they can, below, we will present the truth behind some common misconceptions about estate planning. Myth 1 – Estate plans are only for the rich. Get the truth behind some common – and potentially costly – estate planning myths from our seasoned Denver estate attorney. Contact us when you are ready to devise the best estate plan. Laying out plans for what happens in the event you become incapacitated at some point in the future. Myth 2 – I have a will, so my estate plan is done. Fact – Wrong again! As we have previously discussed, there are certain things that wills cannot do. For instance, although wills can detail how assets are to be distributed upon death, they will NOT explain who should have the power to make essential medical and/or financial decisions on your behalf if you become incapacitated in the future. For this aspect of estate planning, powers of attorney will need to be set up. There are various other things that wills cannot do. Consequently, it’s better to think about wills as a starting point for estate planning, rather than assuming they will be the “catchall” for the estate planning process. 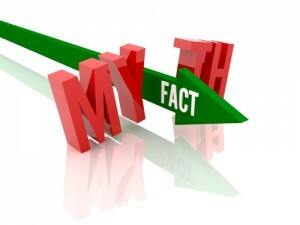 Myth 3 – Once I’ve developed an estate plan, I don’t need to review or revise it. It’ll be good forever. Fact – This is simply not true (unless, of course, someone passes away very soon after developing an estate plan). The fact is that, as life goes on and your situation changes, your estate plan will need to be revisited and revised to reflect your current wishes and circumstances. You get divorced or married. You have more children or more grandchildren are born. You have a major change in any close personal relationship (affecting a named beneficiary or personal representative). So, think of your estate plan as an evolving document. If you don’t have a specific circumstance necessitating a review of your estate plan, make it a habit to review it every year to ensure it’s always as up-to-date as it should be. When you are ready for experienced help devising (or revising) an estate plan, you can turn to a Denver estate attorney at JR Phillips & Associates, PC. Our seasoned legal professionals provide a thoughtful, comprehensive approach to our clients’ estate planning needs, and we take pride in helping each of our clients and their families find the best solutions for them.